What a fantastic night of dancing we all had: when none of us were sure we’d even walk another step, let alone get up and dance. Whippletree Celidh Band are a joy to behold. No dance tune was not danced to, to full capacity. We had a wonderful crowd. 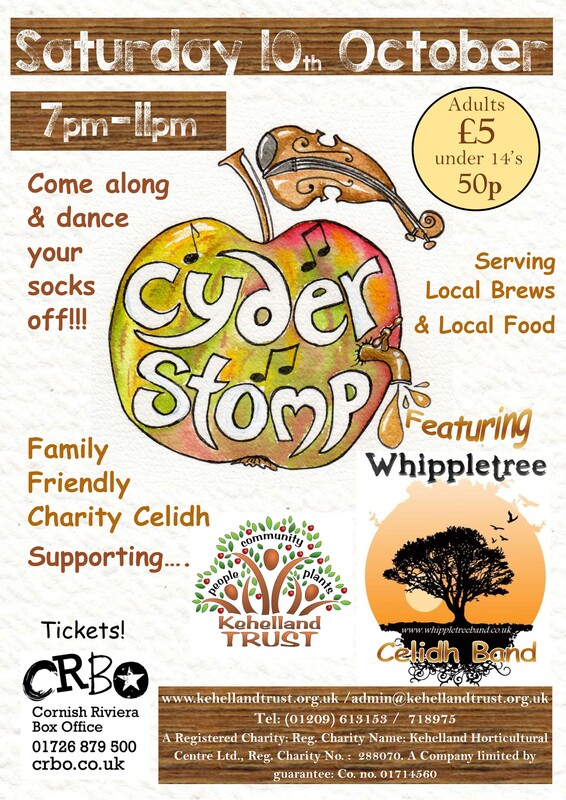 The joy of a Celidh with Whippletree is their ability to knock out a full-throttle dance with a fantastic caller, but also to perform a beautifully moving song in between – giving everyone a breather and an opportunity to sample the cyder but continue to have great entertainment. 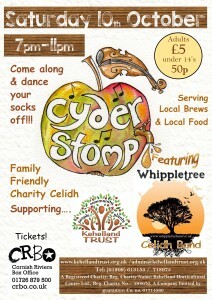 Whippletree did this gig for nothing – allowing us to increase our fund-raising capacity for the day. Thank you Whippletree.